We're well into Autumn. 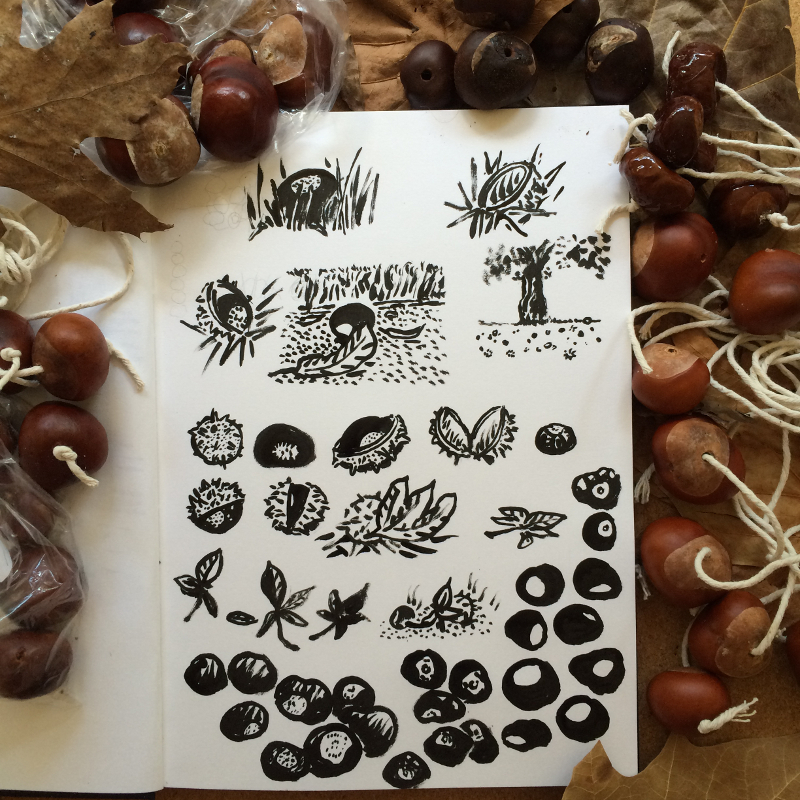 This week, something that made me feel that I was making the most of the season was a few minutes spent gathering conkers. It's an inspiring time - you could be making a colour chart of leaves, drying and lacquering fruit for wreaths, making spiced crabapple jellies or positioning decorative squashes... but I got down to a city centre park and scouted from one horse chestnut tree to the next (it made me appreciate the variety of trees in Southampton's Watts Park), filling pockets of a satchel with the shiniest and the roundest nuts. 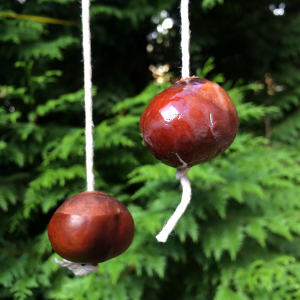 STAGE TWO: to play conkers! To be honest, I didn't play conkers as a boy. I've collected them more often as decorations. Research could be endless but, deciding to take this at a run, I perused a few different sets of rules - there are clubs and championships, of course (and a few much-publicised safety concerns) and I'm itching for a match. Oh, and I'm saving some for next year. The old ones are a bit fragile but I'm not too bothered about making the hardest of the hard - I just want some entertaining smashing-up. I'll know more next year. As for the strings, I didn't go for the traditional bootlaces but I drilled holes and threaded string. When play begins, they might turn out to need more knots. 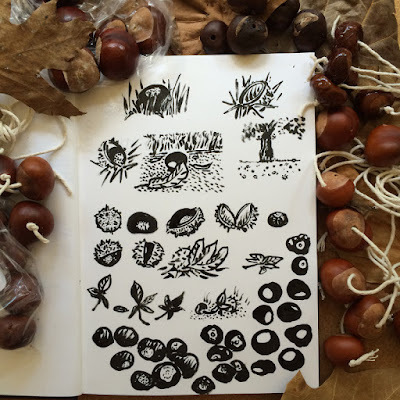 Conkers in vinegar; conkers in ink. These drawings could form a pleasing pattern but now I'm heading out to see friends and smash nuts on strings - essential for Autumn!